The application process for the recruitment of 1006 vacancies had begun by the Haryana Staff Selection Commission (HSSC). 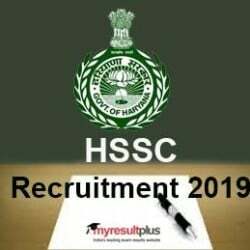 The notification regarding the filling of 1006 vacancies of Instructor and other posts had been released by the Haryana Staff Selection Commission (HSSC). The applications were released on its official website on January 5, 2019, and the process will continue till February 4, 2019. January 5, 2019: The applications will be released on the official website. February 4, 2019: Last date to apply, candidates can apply till 11:59 pm on this date. February 7, 2019: The fees can be deposited till 11:59 pm on this date. There are a total of 1006 posts available for the candidates to apply.